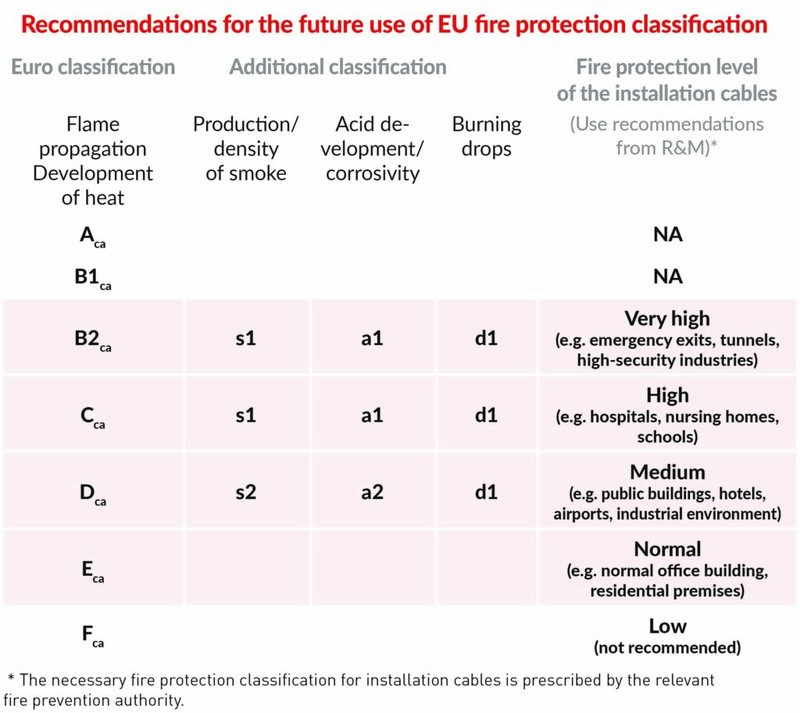 With the Construction Products Regulation (CPR), the European Union (EU) wants to implement a form of international, standardized fire protection assessment. The aim is to better protect people in buildings from poisonous gases in an emergency and curb the fast spread of fire. R&M tailored the cabling range to European and international standards at an early stage. This comprised extensive testing in test labs and, wherever necessary, the development of new cable types which were then included in the portfolio. Since March 2017, R&M has been labeling installation cables with fire protection classification as defined in the CPR. 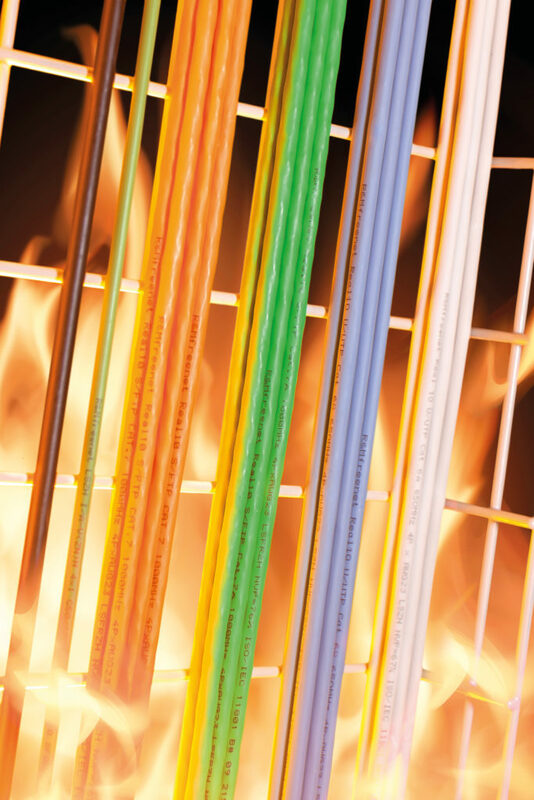 Since July 1, 2017, the use of installation cables with the classes that have been defined in the local fire protection regulations is mandatory. 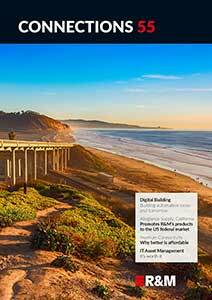 Planners should note that safety requirements as listed in the CPR still vary from country to country.